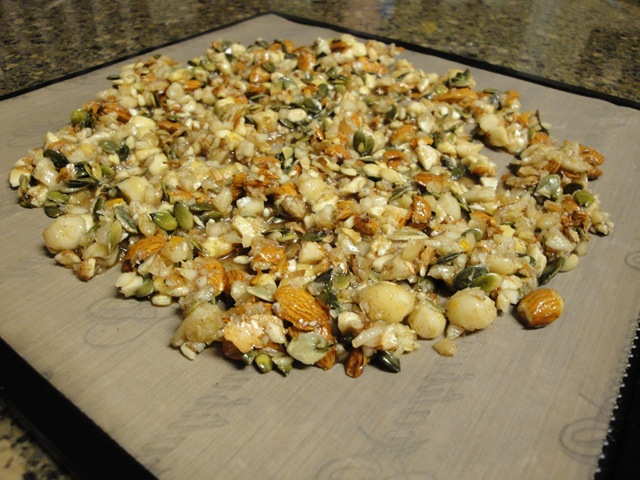 Soak the almonds and macadamia nuts for at least one hour prior to using. In a food processor, combine the pear, orange juice and zest, and pulse until chopped. Move to a separate bowl. Add the macadamia nuts to the food processor, pulse to chop (not mushy, but smaller, even pieces) and add to the pear and orange mixture. Do the same with the almonds. Next, in a separate bowl, combine the agave, maple syrup, salt, cinnamon and vanilla and mix thoroughly. Add to the nut/pear mixture and mix well. Stir in the chopped banana, coconut and pumpkin seeds. Spread onto Teflexx sheets in an even layer, and use a spatula to break up into larger chunks. Dehydrate at 115* for 36-48 hours. Serve with your favorite fresh nut milk or coconut yogurt and berries. Grind the nuts to make a flour in the food processor. Grate the carrots (preferably in the food processor). Combine all the ingredients and process to mix. 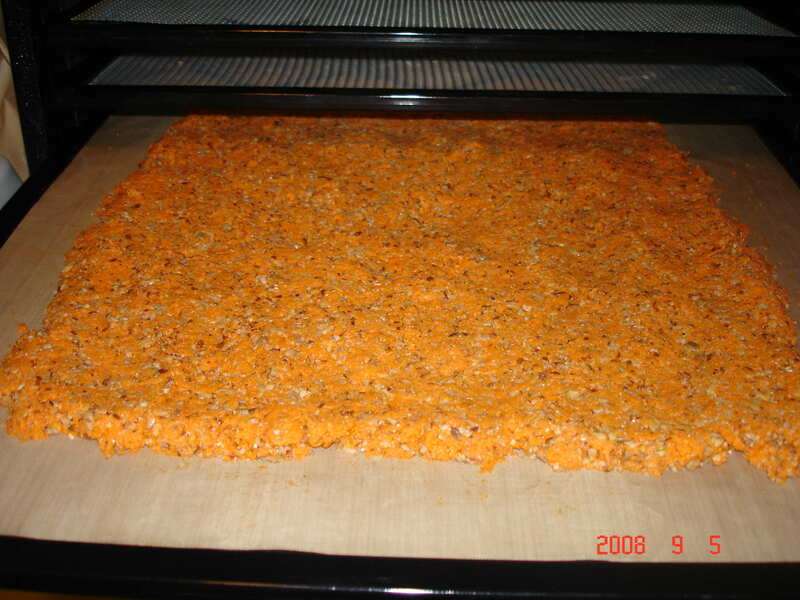 Spread the mixture on a teflex sheet on your dehydrator tray and dehydrate at 105* for 10-12 hours. Flip the crackers after 6 hours and continue dehydrating. (She usually makes these over night, so she doe not flip them and they come out fine).